Day 132 - The morning sun strikes rock formations in the Grand Canyon, as seen from the North Rim in Arizona; detail in this image is best viewed in a larger size. 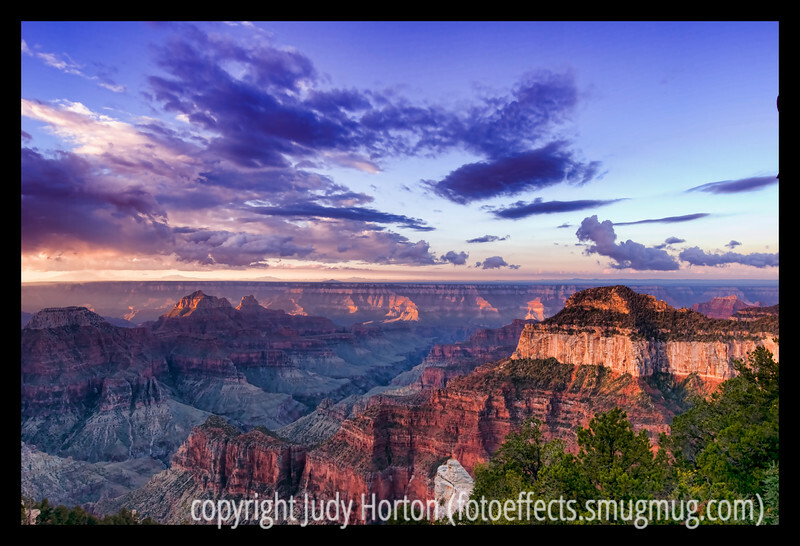 This shot of the Grand Canyon is one I recently rediscovered in my archives from the early fall and reprocessed. I used a number of different effects, including Topaz Adjust, Color EFEX Pro, and some regular Photoshop filter and blending effects. If you view the large size, you will really see some detail! I'm going to post this and go to bed. I hope you all have a really nice day! It is supposed to be quite warm here today. It got up to 65 degrees in Colorado Springs today, not a good day to sleep away. Oh. well. Oh, if some of you should like to look at the other North Rim Grand Canyon shots, they are here: http://fotoeffects.smugmug.com/gallery/6698528_KNq6d#476011624_efKkk. This is an outstanding image. I would love to go back to the GC with a new sense of understanding of light that I didn't have ten years ago.